When the lights went down at the 2018 True-False Film Festival and the opening title cards for Won’t You Be My Neighbor? filled the screen, I found myself a little nervous. Being the elder statesman at this site (that’s mumbo jumbo meaning I’m almost 50), Fred Rogers was part of my daily life for years. His show debuted on public television in 1968, one year before I debuted … in the world. His kindly face and calm demeanor is permanently etched in my memory. So, why the trepidation as Morgan Neville’s documentary began to unfold? I didn’t want a “tell all” on Mr. Rogers. I didn’t want to know if he was a closet racist or homophobe. We’re all familiar with the expression If it seems too good to be true, it probably is. And as an adult, looking back on this mild-mannered, cardigan-wearing host of a children’s television show, he seems too good to be true. But, much to my world-weary surprise, Won’t You Be My Neighbor? reveals that Fred Rogers was the genuine article, the real deal, a man ordained in the Presbyterian church who felt it was his personal mission to reach out to young people of all races and socio-economic backgrounds to help them deal with the stresses of childhood through the use of puppets and fictional characters. The film will leave you wondering if Fred Rogers was ahead of his time or if our society has sadly regressed during the past few decades. His message was one of inclusion. Archival footage shows the TV host interacting with white, black and Asian children as well as young people in wheelchairs. Mr. Rogers avoided “white washing” his show before white washing was even a thing. And his messages of kindness and assimilation seem almost naïve in a world concerned with border walls and rounding up anyone who displays signs of “otherness”. The film also provides an interesting look at the power of religion in action. The subject goes mostly unspoken because modern religion has become equated with zealotry and hatred. But, it’s clear that religious faith drove Fred Rogers. Unlike the world we live in today, his religion embraced all people. It was not a force to divide and vilify non-believers. He did not use his show as a bully pulpit to preach doctrine or find converts. His program was an embodiment of the love, friendship, patience and forgiveness that flows from Fred Rogers’ brand of Christianity. He didn’t talk the talk. He let his show walk the walk. 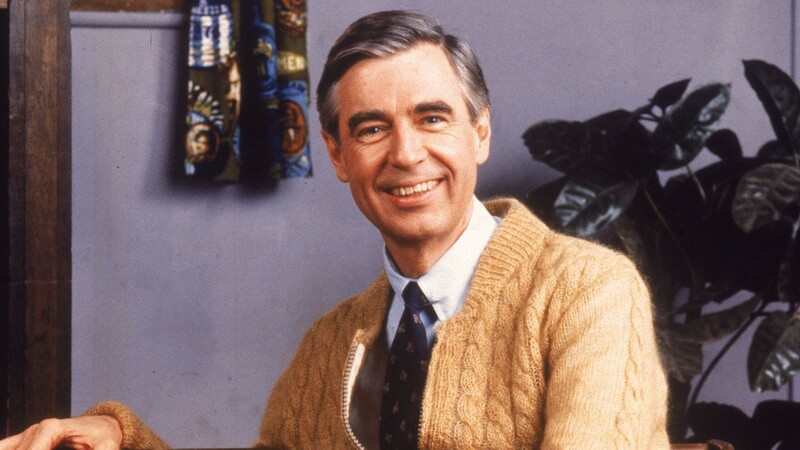 If Won’t You Be My Neighbor has any revelations, it’s the fact the Fred Rogers who appeared on television for over 30 years was not a persona. He was not a character being played by an actor. The Fred Rogers in front of the camera was the Fred Rogers behind the camera. Fellow cast members and crew marvel in their interviews at his purity of heart and kind spirit. It’s clear that their lives were forever changed for the better by coming into his orbit. Year end awards are a hard thing to predict. Angsty documentaries about deadly serious subjects tend to dominate the discussion. The trophies tend to go to films about genocide, police brutality, racism and other heavy topics. So I’ll be curious to see how this “feel-good” documentary fares among awards voters. Personally, I expect it to be one of the 2019 nominees for Best Documentary. And deservedly so. Won’t You Be My Neighbor will be released in select theaters across the United States on June 8, 2018.